There’s always going to be buzz and build-up when you discover one of your favourite eateries has opened a new joint. 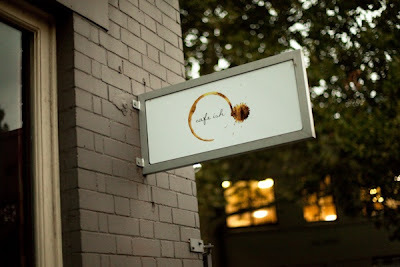 Long-time breakfast favourite Cafe Ish in Surry Hills now has a (not-so-identical) twin. The name’s the same, yes, and the location’s only a few blocks away, but this kid has a later curfew, is allowed to drink, and once the clock strikes 5pm, changes costume into an izakaya. 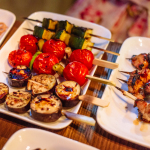 The original Cafe Ish has always stood out, given its one-of-a-kind pairing of Japanese/Australian flavours, and this continues with the izakaya menu and its courses for sharing, whether “Chotto” (small) or “Oohii” (tall/large). So there’s pink Murray River salt sprinkled over edamame, kangaroo teriyaki served as skewers, katsu don with lemon myrtle rice and fries to be dipped into wasabi mayo or tomato relish. If it sounds a little loopy, the daring partnering of ingredients actually works. 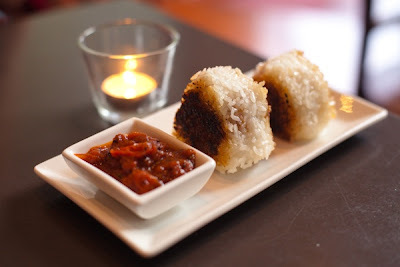 Yaki Onigiri ($7), with its rice-charred, crunch-perfect ‘crust’, is nicely dusted with bush spice and bettered when dunked in sweet-sour glops of tiny tomato relish. 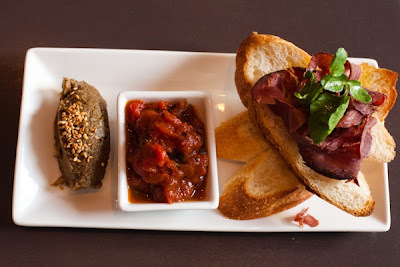 The Ploughman’s Plate with Emu Prosciutto, Damper, Dengaku Eggplant Puree and Tomato Relish ($10) is a test of bread-adorning skill, and the most interesting part is the eggplant dip, which blitzes nasi dengaku and essentially turns it into “Japanese babaghanoush”. And if your tastebuds are after a zingy jolt, you can add a bowl of Cucumber Pickled with Wasabi and Lemon Myrtle ($7) to your table. 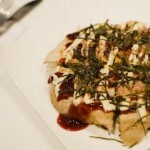 One of my favourite flavour mash-ups, though, has to be the Cabbage with Pink Salt and Wattleseed Miso Mayonnaise ($6). 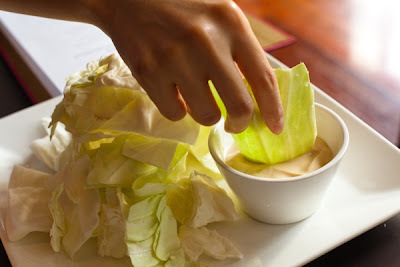 Now, dipping raw cabbage into mayo sounds like the most ungainly thing you could do at a restaurant – but it is ridiculously addictive and delicious and instantly makes you want to banish sticks of celery and carrots from every party you throw from now on. The clean-cut taste of the cabbage is perfect for conveying the salty-sweet mayo, and has you wondering if there has ever been a better system of food dispatching. Aside from the native ingredients used, the drinks list has a strong local accent, whether it’s mineral water sourced from the Snowy Mountains or beers with lemon myrtle and wattleseed. Crafted brews get preference and they don’t get more artisan than the Happy Goblin range from Mt Kuringai, where the labels are actually hand-numbered and hand-dated (Will’s beer was bottled only six days ago). Just to complete the Australian feel, Cafe Ish serves the beer in stubby-holders, an idea that Jeremy the barista came up with. The collection is pretty classy (my favourite is the one flaunting a dude’s cartoony six-pack chest) and well-sourced: basically, Josh went into a bargain store and only bought any beer-holders that cost less than $2. The Japanese influence, of course, sees a growing list of sake on the menu (currently there are six, and Josh would love to see this expand to 20). 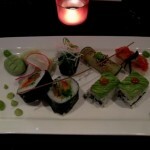 Will’s prior experience of sake has been less than cause-converting, but what he tried at Ish really impressed him. It was served in the traditional way – the staff even instructed us on how to carry out the ritual, with me (the lady) pouring out the sake for Will and reciting particular Japanese words to complete the experience. I’m sure we flubbed the actual authenticity of it, but it was fun to do. The highlight of the night, though, was the Green Tea & Lemon Myrtle Panna Cotta ($9), which is part of the dessert section (cutely labelled under the title “Fin Ish” in the menu). Usually, a custard is a mild-mannered way to end proceedings, but the punchiness of the lemon myrtle and green tea was brain-blitzingly good. 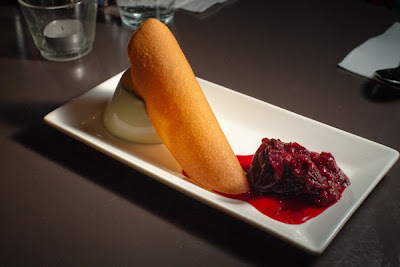 Back out of the deal if you don’t like strong flavours, but we were both immediate fans of this dessert – especially when it’s lined up with bunya bunya tuile and the sweet blast of native berry compote. It was a bold “Fin Ish”. So how does the spin-off compare to the original? Well, I thought the first Cafe Ish had a good batting average but this one, with its izakaya mode, is even better. Here’s to a new favourite. 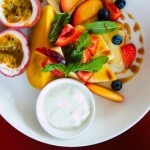 Cafe Ish, 82 Campbell St, Surry Hills, (02) 9281 1688. 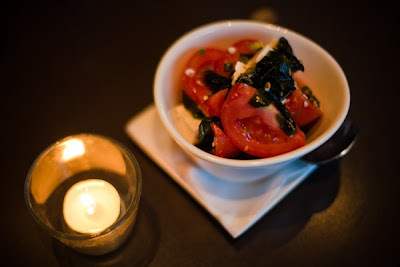 Open seven days: cafe-mode by day, izakaya-style Wed-Sat nights. 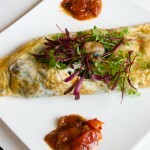 The original Cafe Ish has scaled back its menu and opening hours as a result. Oh wow this is awesome news! We got Ai and Josh talking about sake and shochu one Sunday morning and I am not surprised to hear they want to expand their selection to 20 choices. Vietnam has zero Cafe Ishes. Sydney has two. Not really fair, is it? Nathan, yes, your FIRST stop when you come back from Vietnam has to be the new Ish. 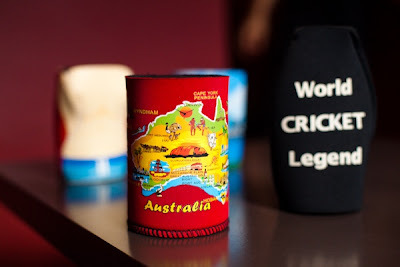 If not for the sake, then for the beer stubby holders! Simon, hope you enjoy trying it out. John, thanks for your comment. Josh was really great with photos, etc – we asked if it was cool to take pics, and he said, “take as many as you like”. Not sure about “volatlity and hostility” – been to Cafe Ish (the original) lots and lots in the last few years, not experienced anything like that, and the staff (familiar and new) at the Campbell St joint seem really nice – I can only speak of my own experience, which has been mostly positive. New venue for writing group!